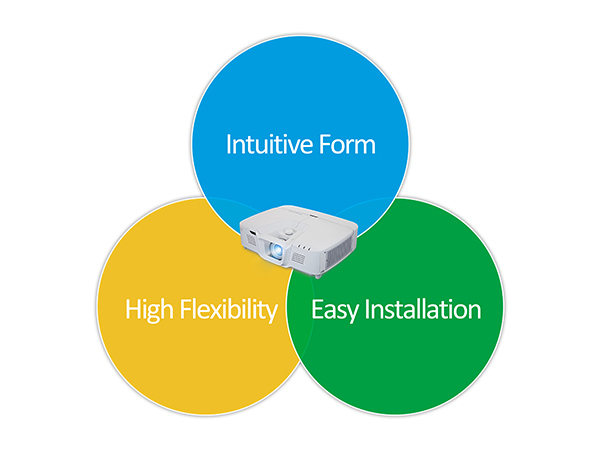 ViewSonic®’s ""Flex-In"" design provides flexible installation that brings easy adjustment and maintenance. 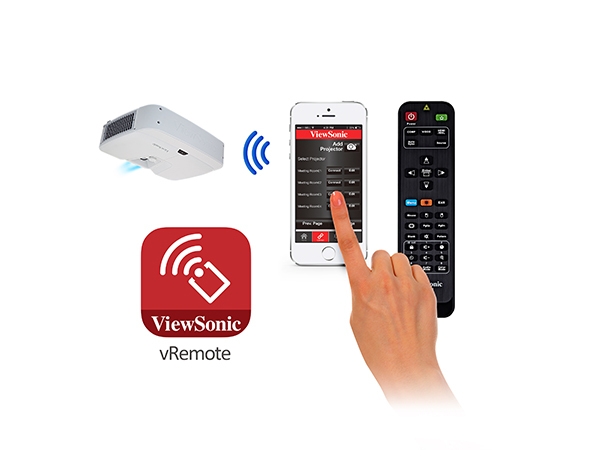 The specialized power button contains a power key, dongle power indicator, projector control IR receiver, and remote player IR receiver. 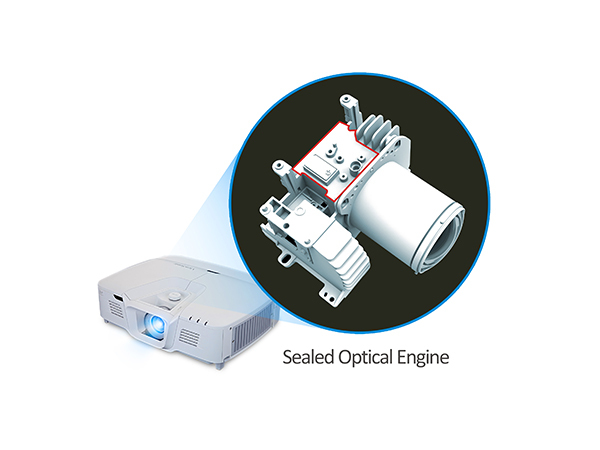 When activating a dongle from the PortAll® compartment, a tiny blue light will indicate the dongle is in use. It can also receive signals to remotely control the connected player. 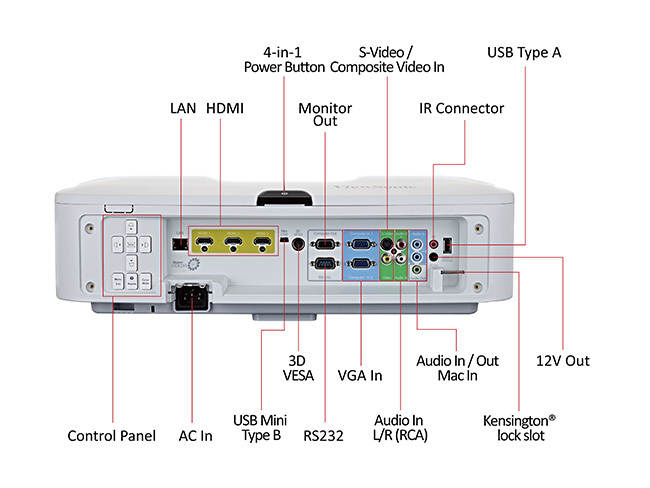 Perfect for connecting to any HDMI-enabled multimedia device; the 4 HDMI ports (1 of which is MHL) provide more options for HD device deployment. To satisfy a presenter’s needs, this remote control contains wireless presenter functions (mouse control, page up-and-down, etc.) and hotkeys for critical, major functions. A programmable hotkey “MyButton” can be configured to launch the most commonly used functions. 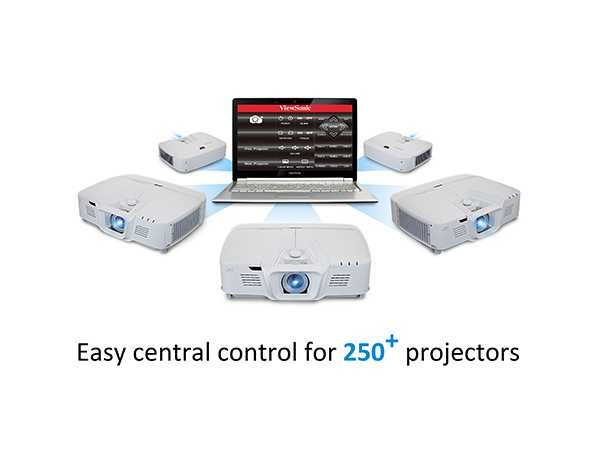 Users can also Control up to eight projectors in the same venue or from a mobile device via free vRemote app (iOS and Android).